This entry was posted in Life, Photographs and tagged Britain, England, Funny, Humor, Humour, Lancashire, Life, Manchester, Musing, Oldham, Photographs, Random, UK, Urban by Andy. Bookmark the permalink. Wow. 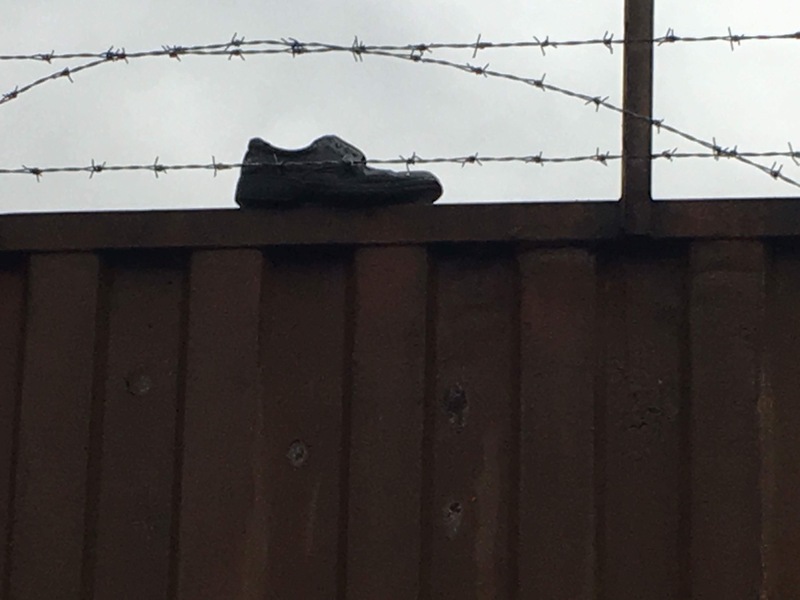 One shoe and barbed wire. What stories do you tell, I wonder? Like who lies all ripped and ragged on the other side of that fence?